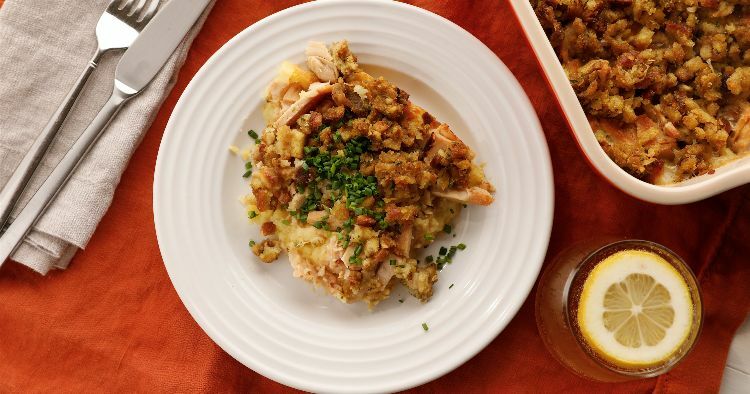 Don't you wish you could just whip up a Thanksgiving dinner any time you wanted? It taste delicious, but it's so much work! Roasting an entire turkey, fixing all the sides and getting it onto the table in time for a busy weeknight meal? That's not something most people have the time – or the ambition – for. The recipe that follows, however, is simple enough to make whenever you want. This dish really is like having a holiday meal. You get a little bit of mashed potato, turkey and, of course, stuffing in every single bite you take. It couldn't be easier to pull together. You can use leftovers from an actual holiday meal or you can roast a turkey breast and make some mashed potatoes. It's still easier than actually making that holiday meal you're craving. Using the microwave or the stovetop, preheat gravy to make it a bit looser. Place mashed potatoes in the bottom of the prepared casserole dish and press them down slightly. Place the cooked turkey on top of the mashed potatoes evenly. Pour gravy over the turkey and mashed potatoes. 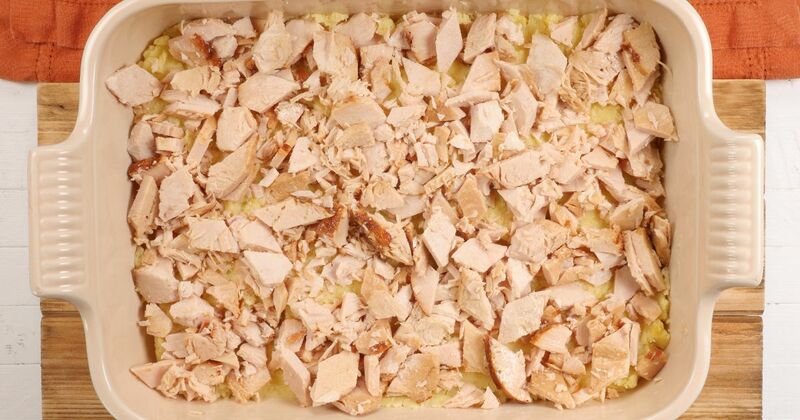 Distribute stuffing evenly over the top of the casserole. Cover the casserole dish with aluminum foil and bake for 30 minutes. Remove foil from the casserole and bake for another 20 minutes, or until stuffing is golden and crispy.